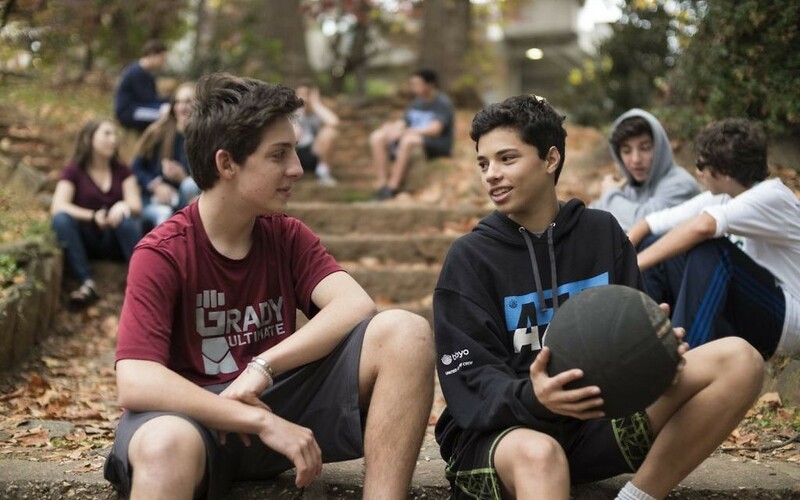 An intensive program focused on sports is launching Atlanta's effort to connect with Jewish teens. The first Atlanta Jewish Teen Initiative intensive focuses on sports. The initiative is a collaboration of the Jewish Federation of Greater Atlanta, the Marcus JCC and the Atlanta Rabbinical Association under the leadership of Hope Chernak, who arrived in mid-April as the executive director of the $4.2 million effort (half from the Jim Joseph Foundation, half from local matching funds). The initiative focuses on high-schoolers in the hope of boosting Jewish teen engagement and education throughout the community with new programs of interest to teens. Examples include an arts program, a seminar with lawyers and activists on how Jewish values inform social justice, and a possible seminar on civil rights in partnership with the National Center for Civil and Human Rights. Each program will be taught through a Jewish lens to foster teens’ connection to Judaism and will operate during spring, summer, fall and winter breaks from school. Hope Chernak is the executive director of the Atlanta Jewish Teen Initiative. A national collaboration began in 2013 after the release of the Jim Joseph Foundation report “Effective Strategies for Educating and Engaging Jewish Teens,” whose goal is to connect tens of thousands of teens to meaningful Jewish learning experiences. The San Francisco-based foundation picked 10 cities — based on their specific characteristics and history of communal partnerships — to participate and committed more than $29 million to support the resulting Jewish Teen Education & Engagement Funder Collaborative. 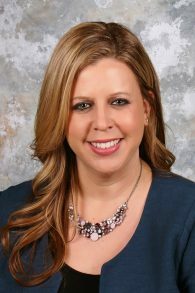 Amanda Abrams, the chief program and innovation officer at the Marcus JCC, said Atlanta was selected because religion is more of a normal practice in the South than in the other nine locations: Baltimore, Boston, Chicago, Cincinnati, Denver/Boulder, Los Angeles, New York, San Diego and San Francisco. Abrams said Atlanta’s initiative has been well received so far and was acknowledged by a Jewish Federation in New Jersey, which requested further information after hearing a presentation by Abrams during the General Assembly of Federations in Los Angeles in November. “They thought what we shared was very informative, and my hope is that what we’ve done in Atlanta will transfer to other communities, at least in the planning process,” she said. Input from the community and collaborations with existing organizations are important, Abrams said, as the initiative looks for sustainability early instead of waiting until the grant runs out after five years to seek new funding. The initiative therefore is flexible and open to change along the way. The AJTI has canvassed in various communities, including Alpharetta and intown, to reach as many teens as possible. Although areas inside and outside the Perimeter present a challenge for the initiative, Chernak said AJTI is prepared to cross any boundary. The Marcus JCC is working behind the scenes to implement the initiative by providing human resources, technical and financial support, supervision, and management. Federation is leveraging the funding with aid from the Jim Joseph Foundation and the Marcus JCC. Chernak said the initiative remains in the pilot stage but is reaching out to agencies, synagogues and student clubs to schedule one-on-one meetings and explain the initiative. “We are not trying to become another youth program but in fact support and provide any resources and … fill in a gap where students are currently not involved,” Chernak said. AJTI’s first intensive session for teens, JumpSpark Sports, is scheduled for January and will provide a behind-the-scenes look at Atlanta’s sports industry. AJTI also launched JumpSpark Professional for the development of communal professionals working with teens. A professional seminar in January will feature a discussion about teen behaviors and challenges. The initiative hopes to create a pocket of communities with 15 to 25 kids each who will get to know one another and learn together. The initiative also wants to establish a leadership track in a year to help students learn what it means to be mentors. Teens can learn more about the initiative at www.jumpsparkatl.org. “Teens are at a critical stage of their life when they are building up their Jewish identity, and although we have great programs in the community, such as BBYO, there are still plenty of teens who have no Jewish connection, and having more options that are different and unique is important,” Federation CEO Eric Robbins said.